J. 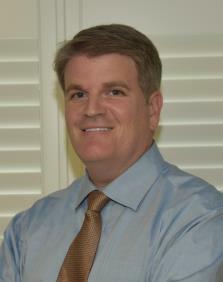 Mark Fisher is a 1977 graduate of Ft. Walton Beach High School in Ft. Walton Beach, Florida. He received his Bachelor of Science Degree in Finance from Florida State University School of Business in 1981 and his Juris Doctorate from Mississippi College School of Law in 1984. Bentley M. Fisher was born in Orlando, Florida, and grew up in Fort Walton Beach, FL. He received his undergraduate degree in political science from Florida State University in 2008. He then moved to Miami, to attend law school at St. Thomas University, graduating with his J.D. at the age of 24. Erich M. Niederlehner, has lived in the Pensacola, Florida area most of his life, growing up in Navarre and Gulf Breeze, Florida. He graduated from the Florida State University with a degree in Criminology. While working on his undergraduate degree, he interned for the United States Customs Service in Tallahassee, Florida. Bentley M. Fisher was born in Orlando, Florida, and grew up in Fort Walton Beach, FL. Bentley received his undergraduate degree in political science from Florida State University in 2008. He then moved to Miami, to attend law school at St. Thomas University, graduating with his J.D. at the age of 24.